Deep, exotic, mysterious and rich. 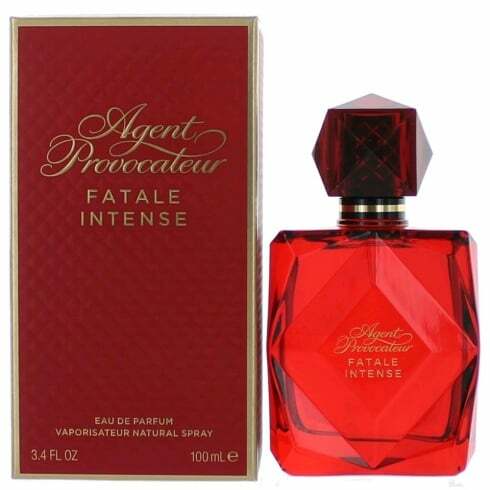 Fatale Intense by Agent Provocateur provides a daring foray into realms of exciting passion captured in an innovative blend of candied spices. Succulent dewberries mingle with the striking drift of bitter-sweet liquorice that crowns the fragrance, woven intricately into a flash of heat offered by the addition of chilli pepper. A sensual aromatic heart mixes red rose with a spin of champaca and lotus. Finally the unmistakeable scent of leather forges a smooth base with a cosy glaze of amber and a sweetening of vanilla.